Below is a continuation of an interview with Pilar O'Cadiz on serving the needs of Latino youth in afterschool programs. We abbreviated the interview answers for the blog, but you can read the complete interview by clicking here. For a listing of curriculum and resources that Pilar has recommended for afterschool leaders serving Latino youth, click here. A more complete bio of Pilar follows this interview. A: Talk to them, hire from their community so staff can communicate with Latino parents and understand their cultural background, appreciate their cultural knowledge, and know how to bring it into the afterschool program as an asset and resource for effectively implementing a culturally competent youth development approach. Make their history and knowledge part of the curriculum by having students interview their family members, document their oral histories, gather the artifacts of their culture, learn about their origins, the geography of their immigrant journey, and the narrative of their story. Use an interdisciplinary approach that takes from the universe of academic knowledge, concepts, tools and strategies for recording, organizing, and analyzing the everyday experiences, and rich histories of your students and their families. They will then find greater purpose in learning to read and write, doing math and studying geography and history. They will see themselves reflected in the curriculum more than ever before; and you will be surprised how powerful that is for many immigrant children who often are implicitly or explicitly made to feel “alien” through curriculum practices that make no reference to who they are and where they come from, and far too often disparage them. I recall, for example, how my 7th grade teacher announced at the beginning of our World History course, how we would skip the chapter on Latin American ancient civilizations as “that chapter is not important,” and go straight to studying about the Greeks. I knew this was wrong, but I was afraid to protest. Fortunately, I was able to overcome that trauma when I ran an afterschool program in the early 1990s in Boyle Heights, a Latino immigrant enclave east of downtown Los Angeles. There, we (students, parents and UCLA undergraduates) all dove into an exploration of our historical heritage, family histories and community reality using art as an expressive vehicle (O'Cadiz, 2003). That was redemption! This experience solidified my faith in afterschool as an alternative educational space that can help shape the learning experiences of Latino and other so called minority, at-risk youth, by shifting from a deficit paradigm to a focus on our assets. Q: Do Latino youth have unique needs that we should be aware of in afterschool? What role is afterschool uniquely positioned to take on to address the needs of these youth? 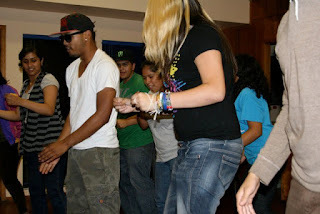 A: I think Latino youth have many of the same needs of all youth: to be respected, nurtured, and intellectually challenged, to be creative and physically active, to be lovingly guided toward independence while developing a healthy sense of self and civic consciousness, to navigate and actively take part in an increasingly technological and global society. Despite the fact that Latino youth now represent the majority of students in California public schools, they still experience discrimination from the dominant mainstream society. Afterschool programs need to highlight contemporary and historical leaders, scientists and artists from our immensely diverse communities for Latino youth to recognize role models they can look up to, and bring them face to face with their community leaders through field trips to museums, concerts and visits with elected officials, professionals, artists and community activists. In this way, afterschool has an essential role as a “transformative space” (Noam, 2004) for immigrant youth and their families to embrace their humanity, navigate the broader society with confidence, and assert their citizenship. The afterschool space should be one where Latino youth can express their unique identities and interests and take on leadership roles—especially through arts-based curriculum and service learning. Afterschool programs can allow Latino youth to explore beyond the barrio boundaries. This is particularly important since many Latino and immigrant families hesitate to leave the haven of their enclave, and often lack the means of transportation, economic resources and social network to offer their children experiences outside the community. Q: What role should afterschool assume for assisting ELL youth? A: Make it safe to speak Spanish. Provide examples of the benefits of bilingualism by keeping adults (young and older) that are fluent in both languages in their midst. Give them plenty of opportunity to speak English, through collaborative group work, and performance [art, music, plays, singing, poetry readings etc.]. Make literacy an integral part of the afterschool program culture and curriculum. Always be reading, writing, speaking without judgment for accents or a loss of words or use of Spanglish. Provide the peer and adult mentorship that will allow English Language Learners to learn English well, without feeling shame for their Spanish ability. Promote bilingualism as a valuable asset. Q: Which of the Learning in Afterschool principles do you deem relevant to Latino youth? A: They are all relevant. None are more so than others. I would only emphasize that as educators we need to recognize that culture and politics matter. There is no education without culture and there is no apolitical education, as Freire (1970) asserts. Either we work to replicate limiting, and even oppressive, conditions for learners or we create experiences that empower them to fully realize their potential as individuals and to engage in transformative action that promotes justice and equity. I think that the LIA principles are essential to guaranteeing an education for freedom and for fully realizing the promise of all students and that of our great nation of immigrants. 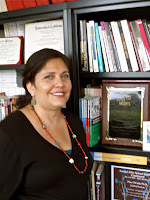 A first generation Mexican American, Maria del Pilar O’Cadiz completed her MA in Latin American Studies along with an M.Ed. in Curriculum, Administration, and Teaching at UCLA, where she earned a doctorate in 1996. 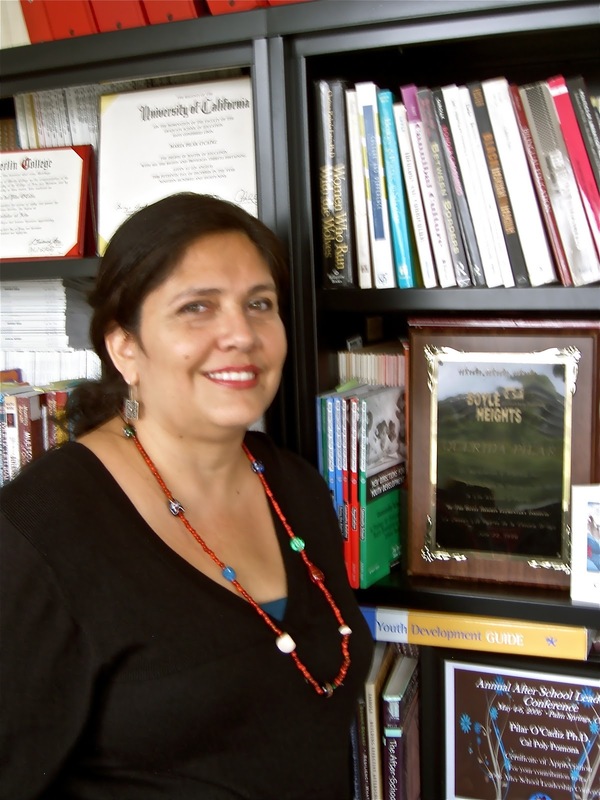 In 2000, she became executive director of the California After School Project (CASP) at the University of California, Irvine and later at California State Polytechnic University, Pomona, working in partnership with the Los Angeles County Office of Education (LACOE) providing trainings and technical assistance for after school programs across Los Angeles County. She currently works as a Project Scientist at the University of California, Irvine in the Department of Education. After much feedback from the field, the Senate is poised to vote on increasing funding for 21st CCLCs. They have also required partnerships with community organizations on the use of 21st CCLC funds to expand the school day – a concern that was discussed in prior posts on this blog. Use this link to get a full summary on this language from the Afterschool Alliance. You can click here. The California Department of Education recently announced that Latino students now represent the majority of students in our public schools. We asked Pilar O'Cadiz, from the University of California at Irvine and a longtime researcher and evaluator of afterschool programs, to share her thoughts on the implications of this announcement for afterschool program providers. We abbreviated Pilar's answers, but we offer the complete text of her responses to our questions. A more complete bio follows this interview. Q: What do you think are the implications for this recent announcement by CDE? A: Given that over half of this “new” majority of students will drop out by the time they reach high school (Orfield, 2004), a huge implication is the need to resurrect the vast research and practical knowledge base on the essential role of culturally relevant approaches in all educational endeavors. A key role for afterschool is to act as a liaison between the school and community. This means working to integrate the history, knowledge and resources of the community into the afterschool curriculum and program. It also means serving as a gateway into the institutional culture of the school, taking advantage of the fact that afterschool workers see the parents on a daily basis, are more likely to be from the community, and speak their native language. The afterschool community must continue to create career pathways for the immense talent pool that exists within the Latino community. This will allow us to advance and carry the afterschool movement using the imagination and perseverance that our youth and young adults working in the afterschool field have already demonstrated. This is why I love the LIA Youth Ambassadors. We need more of these types of opportunities for Latino and all youth and young adults working in the field. Q: Over the last 20 years you have been researching the views and needs of Latino parents in regards to afterschool programs. What have you learned? A: Nearly all the Latino parents I have interviewed and worked with over the years expressed as the most important reason for coming to this country, the betterment of future prospects for their child, their education, and quality of life. They fully recognize the value of afterschool programs in helping them achieve their dreams. Parents also express a desire to be involved in their child’s afterschool program, but opportunities are rarely afforded. I believe that this is largely due to language and cultural barriers, or erroneous assumptions about their lack of disposition. Afterschool programs need to create opportunities for Latino parents to be involved in a range of ways; not only as volunteers helping with fundraising events or watching kids during snack time, but also as educators. Program leaders can help parents define their aspirations for their children, identify their own talents and ways they can offer enrichment experiences for youth, and develop a voice in the advocacy for their children’s education. I think that it is important that the afterschool field help Latino parents comprehend what constitutes quality programming, as delineated in the LIA principles. Too often, Latino parents confuse homework completion with program quality. They should be made aware of the valuable learning that can take place during a good, interactive enrichment activity. The best way to do this is by engaging parents in similar activities as a parent group or alongside children and youth. Before founding the International Center for Leadership in Education in 1991, Willard R. Daggett, Ed.D., was a teacher, administrator, and director with the New York State Education Department, where he spearheaded restructuring initiatives to focus the state's education system on the skills and knowledge students need in a technological, information-based society. We caught up with Dr. Daggett at the Step Up high school afterschool conference in San Diego, where he served as keynote speaker. He agreed to answer some questions regarding the learning principles promoted by the Learning in Afterschool project. Q: Can you talk about the role of afterschool in education? A: Learning in afterschool provides a valuable resource to extend the educational experience of students. We at the International Center for Leadership in Education have identified through our extensive research that for students to maximize their potential, their educational experience must be both rigorous and relevant. The afterschool program provides valuable relevant experiences that help students become engaged in a meaningful way, ultimately leading to success in both school and life. Q: What do you see as the unique contributions that afterschool can offer those who are seeking to improve youth academic and developmental outcomes? A: During the school day, students are exposed to academics that are important that they master to be successful in school and in life. The reality, however, is that unless students can see relevance to what they are learning and become personally engaged in the learning process, they will seldom achieve success in their academic programs. Afterschool programs provide both this relevance and personal involvement so critical to learning. Q: Which of the five Learning in Afterschool learning principles do you think are important in efforts to reengage young people in their education? A: All five principles are critical. They collectively provide the relevance so desperately needed for students to become engaged and for learning to become alive for them. They also provide the deeper understanding and the discovery of learning that is critical for success in school and life. Q: Are there important trends in school reform that afterschool program leaders should keep their eye on? A: Thirty-eight of our 50 states have agreed to adopt a new set of Common Core State Standards over the next three years. Accompanying these standards will be a series of new assessments that are both more rigorous and, equally as important, application based. The afterschool programs will provide the application of those academic skills that will be essential for students to be able to be successful on the new assessments. Dr. Daggett is CEO of the International Center for Leadership in Education and is recognized worldwide for his proven ability to move education systems towards more rigorous and relevant skills and knowledge for all students. He has assisted a number of states and hundreds of school districts with their school improvement initiatives. Dr. Daggett has also collaborated with education ministries in several countries and with the Council of Chief State School Officers, the Bill & Melinda Gates Foundation, the National Governors Association, and many other national organizations. Nicholas Thacher is the head of school at Dedham Country Day School in Dedham, Mass. and has been a school principal or headmaster for more than 30 years. He writes a compelling defense of the place of recess in young people's learning, entitled "Eliminating Recess Hurts Kids". "The latest research on learning and cognition, summarized in a recent New York Times Magazine article online, gives increasingly persuasive evidence that exercise and fitness have positive effects on the immature human brain," Mr. Thacher writes. 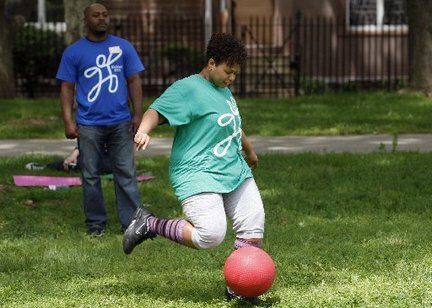 As schools back away from recognizing the importance of fitness and play, and inner city kids have less access to safe spaces for play, how should we respond in our afterschool programs? The front page of Education Week (November 17, 2010) featured an article entitled "Schools Integrate Dance Into Lessons," citing that "the infusion of the arts appears to be gaining a stronger foothold at a time when advocates are struggling to ensure time and support for their disciplines." We know through Howard Gardner's work and new brain research that movement is an important reinforcement for learning. We also know that young people do not get the opportunity to be as physically active as they should be. It is important that afterschool programs are not shy or apologetic about integrating movement and physical activity into learning in the afterschool hours. How does your program use physical activity to contribute to the learning experience? The November 2010 election results will definitely impact conversations in Washington, D.C. and Sacramento regarding education and afterschool programming. Followers of the Learning in Afterschool project can go to the "New Developments in Education and Afterschool" link on the Learning in Afterschool website. This page offers links to afterschool advocacy groups that are following these developments closely. We invite any comments from our readers regarding the changing political landscape at the state or national level. Redefining afterschool programs as “expanded learning time” (ELT) has made its way into discussions regarding the reauthorization of No Child Left Behind and the 21st CCLCs. Below is a brief interview with Lucy Friedman, President of The After-School Corporation (TASC) in which she offers her views on the growing ELT conversation and on important new trends in the field of afterschool programming. Lucy is a member of the National Advisory Group for the Learning in Afterschool project. A more complete bio follows this interview. Q: How do we maximize the opportunities and minimize the threats that ELT presents to afterschool program providers? A: Those of us who have been working in the after-school hours know that schools can’t provide all kids with opportunities for active learning, exposure to new horizons, and support for their healthy development in a 6-hour school day, 180 days a year.We maximize this opportunity and minimize risks by unleashing the power of community partners to help schools expand not just the hours, but the quality of kids’ learning experiences. If we want to find ways to deepen student engagement, to give kids a greater sense of ownership over their learning and to tap into their dreams and aspirations, we need to re-engineer the school day so that it’s not just more of the same. We need to engage parents and community partners, which is the foundation for TASC’s Expanded Learning Time / New York City model. Schools that expand learning time should partner with community organizations. Community organizations have a right to apply for 21CCLC funds. States and localities will have flexible choice in how they deploy 21CCLC. As you know, the evidence is compelling that the social, emotional and other supports community organizations offer students contribute significantly to their cognitive growth and academic success. The best expanded learning time approaches will embrace and build on effective after-school programs through genuine, fully integrated school and community partnerships. Q: How might the Learning in Afterschool principles be useful in framing the ELT conversation? A: The LIA principles make concrete the kind of learning that can and should happen beyond traditional school hours: active, collaborative learning that prepares kids for careers we can’t even imagine. Q: There is always a lot going on in the growing and changing afterschool movement. What is most on your mind right now outside of ELT? A: I’m excited by the growing enthusiasm I see among policymakers, educators and community leaders for greater informal science opportunities in the hours beyond the traditional school day. We know now that with the right training, community educators can be terrific informal science leaders and role models for kids who have been under-represented on science and technology career tracks. Q: What do you see as the approaching trends in the field that we should keep an eye on? A: The optimist in me believes that the pressure on state and local budgets will cause more leaders to want to work at rationalizing funding streams and building partnerships. We’ve got to do that if we want to reach more kids and get better results from every dollar we invest in out-of-school time opportunities. In New York City, we see more principals developing an appreciation for what community partners can do to support kids’ development and higher achievement. That trend will continue to grow. Lucy Friedman is the founder and President of The After-School Corporation (TASC). TASC is dedicated to giving all kids opportunities to grow through after-school and summer programs that support, educate and inspire them. She has served on a variety of advisory commissions and boards, including the National Academy of Science, the Afterschool Alliance and Bryn Mawr College. Lucy has been a member of The Coalition for Science After School Steering Committee since 2004 and served as its chair from 2006 to 2008. Redefining afterschool programs as “expanded learning time” (ELT) has made its way into discussions regarding the reauthorization of No Child Left Behind and the 21st CCLCs. Below is a brief interview with Jennifer Peck, Executive Director of The Partnership for Children and Youth. Jennifer has been very active in the federal policy discussions regarding 21st CCLCs. Jennifer is a member of the California Work Group for the Learning in Afterschool project. A more complete bio follows this interview. · It gives us the opportunity to communicate the fact that after school programs have in fact been extending learning time for students for many years. · If done right, new policies around ELT and 21st CCLC could result in deeper partnerships between schools and their community partners. Right now, we still have a lot of after school programs, located at schools that operate quite separately from the school. If schools have the option to use these dollars for a longer day and/or revised school schedule, strong community partnerships should be supported and required. Community agencies have a stake in children’s education and should have a role in the planning and implementation of ELT programs. Given the broad interest and political momentum around the need to give students more time, an expansion of our language and ways of doing business are our best shot for growing resources for all types of extended learning opportunities for students. · Allowing communities to decide which model of “extended learning time” works best for their students, whether it’s after school programs, summer learning programs, a redesigned day, or a combination of the above. I’m proud to say that our own Congressman George Miller, Chair of the House Education and Labor Committee and a key advisor to the Administration on education issues, has a strong understanding of what’s at stake with an expansion of the 21st CCLC program and of the policies we need in place to both protect high quality after school programming as well as inspire extended day innovations. He will continue to be a key and influential champion of our efforts regardless of which political party takes control of Congress in a few weeks. A: The Learning in Afterschool effort is perfectly aligned and perfectly timed with this federal policy conversation. The LIA principles and language support the very critical task of helping decision makers at all levels understand that after school programs are a place of learning, are worthy of continued and strengthened investments, and can be the foundation for new and innovative models of teaching and learning. A: I am concerned that we find ways for children in our lowest-income communities to have access to high quality enrichment and learning opportunities all year long, not just during the 180 days of the school year. A vast majority of our state and federal after school dollars in California are currently allocated to school-year only programs, but students don’t stop needing these programs when school closes in June. To the contrary, decades of research tell us that students who don’t have access to learning opportunities in the summer are losing significant academic ground from one year to the next, and this phenomenon is cumulative and disproportionately affects low-income children. Jennifer Peck was a founding staff member of the Partnership in 2001 and became its executive director in 2003. Through her leadership, the Partnership has developed and implemented initiatives to finance and build after-school and summer-learning programs, and increase access to school meals and nutrition education programs in the Bay Area’s lowest-income communities. Jennifer leads a coalition of California organizations advocating for new federal policies to improve the effectiveness of after-school and summer-learning programs. To learn more about the Partnership and sign up for their e-newsletter, visit their website. There have been a number of questions that others have asked related to the LIA project. Below we attempt to respond to some of them. Q: Much has been written for and about afterschool programs already. Why did you launch the Learning in Afterschool project and how is it the same or different as what has come before it? A: Yes, there has been a lot discussed and written about afterschool - on outcomes and measurement, how programs should align to the school day, and how to solve educational problems that don’t seem to be easily solved. Somehow, we managed to have these conversations without talking about how children learn. As someone who taught school for ten years and later specialized in child and youth development, I always found this fact a bit strange. What this project tries to do is focus not on what young people should learn, rather focus on the how- program approaches that promote learning. You will notice that the exemplar afterschool programs - the ones that are the darlings of the afterschool movement - are all exceptional in how they promote young people’s excitement in learning. The same is true of those exceptional educators who are named as teachers of the year in local, state, and national ceremonies. What we hear most about these acclaimed classroom teachers are their abilities to motivate and excite young people in learning. But somehow we bypass the principles that they apply in practice. This project aims to focus our attention and practice on a few learning principles. Q: Why this, why now? A: The last decade has been largely focused on securing the resources to take afterschool to scale. Through our work in California and across the country, we detected a kind of malaise among afterschool leaders and workers – a sense that we somehow lost the deeper purpose that undergirded the afterschool movement. In talking with afterschool leaders and workers, we learned that there was a profound readiness to return to the deeper questions of how we want to use the afterschool hours. We noticed an increase in excitement when we focused our discussions on children’s motivation and involvement in their own learning. It seemed like the right time to look ahead at the upcoming decade and consider how we wanted to define and defend afterschool in the future. Q: Why did the LIA project select only 5 learning principles? A: There are a number of important principles that we did not include and it was a painful process paring them down. What we’ve learned from our past work is that any lists of ideas or principles that you want people to remember need to fit on one hand, which means no more than five. So we chose those five principles that are vital to learning, have not been discussed enough, and are well suited to the afterschool environment. We know that the quality of the relationships between adults and youth are critical to learning. We also know that creating a safe environment physically and emotionally is also key. However, we felt that these issues were already well addressed in the literature. Q: There are some who would contend that the Learning in Afterschool project raises the bar and only demands more from a field that is already under resourced and overstretched. How do you respond to this? A: We believe that by being more explicit about learning, we can effectively focus our capacity building to improve program performance in these areas. The trick is only focusing on a small number of principles so as to not overwhelm program leaders and workers. We can accomplish this by focusing our technical assistance and quality conversations using these principles. Designing activities and methods that better promote meaningful learning is clearly more work for the adults. However, the adults find this work more gratifying, and we’re not here to serve the adults anyway. Q: What about the importance of youth voice and involvement? How are you addressing this within the workings of the Learning in Afterschool project? A: You will see that there is a critical component that we call “The Afterschool Ambassadors.” This is a youth-led effort to capture the perspectives of youth and what they value about learning in afterschool. Following a 3-day leadership retreat with over 25 youth from across the state (pictured to the right), they will work to gather and communicate the views of their peers to influence the California afterschool landscape. We have asked them to build their own website and utilize internet and social networking tools, such as YouTube and Facebook. You can become a fan of the LIA Afterschool Ambassadors on Facebook. 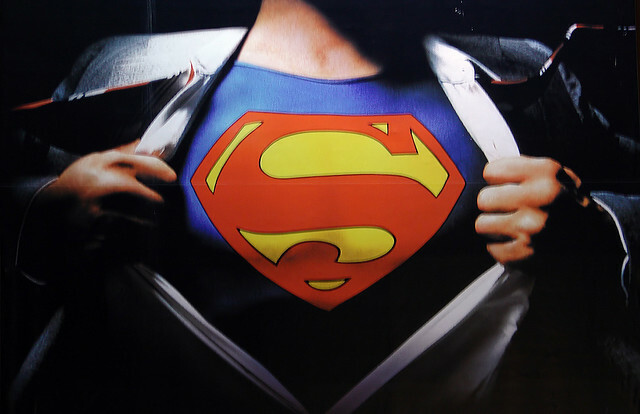 "Waiting for Superman," the documentary on the American education system, is now at local theaters. The good news is that this documentary will stimulate a conversation and dialogue about how to improve education in America. We urge everyone interested in education to see the film and enter into the discussion. The bad news is it may prove to further the polarization between teachers and school critics. The fact is that the problems in our current education system are not the fault of any single entity, and fixing it will require the participation of the entire community. The film clearly has a number of flaws, which is to be expected, given the complexity of the problem. The animation that portrays good teachers as successfully pouring knowledge into the brains of students misrepresents what we know about motivation and learning. Learning is not about being a receptacle for information, but rather is about children actively engaging in their own learning, which we promote in the Learning in Afterschool project. Secondly, it puts too much spotlight on teachers unions. Teachers unions are only part of the problem, but one has to acknowledge that they set themselves up for criticism by being the first to resist any effort to reform our schools. Thirdly, it suggests that charter schools are the only answer. Geoffrey Canada would be the first to acknowledge that charter schools are not the sole solution, as only one in five charter schools outperform public schools. Hopefully the dialogue that will be stimulated by this film will be productive, because it's time that we push the adult interests aside and focus our attention on improving the futures of our children. Tell us what you think. 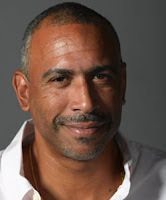 Below is a brief interview with Pedro Noguera, Professor of Education at New York University and member of the National Advisory Group for the Learning in Afterschool project. A more complete bio follows this interview. Q: You had a hand in creating the Broader and Bolder Approach to Education project. Can you tell us a bit about that project? A: A group of us - researchers, educators, policymakers, etc. were concerned about the narrow approach to education reform that characterized No Child Left Behind. We felt that with a new administration coming in we had an opportunity to appeal for a broader approach, one that focused on early childhood education, healthcare, and extended learning opportunities. Essentially, we wanted to stress the idea that more of what had not worked - high stakes testing, blame and pressure on schools, would not get us different results. Q: How do the Learning in Afterschool principles relate to the Broader and Bolder Approach to Education? A: The learning principles are very complimentary to the ideas contained and supported by BBA. We want to see a more holistic approach taken to educating children, one that responds to the developmental needs of the student and focuses on fostering intellectual curiosity and a love of learning. The principles contained in Learning in Afterschool promote such an approach, and if applied with fidelity, could lead to real improvements in educational outcomes for kids. Q: You recently gave a keynote address at a conference in Los Angeles focused on STEM and afterschool hours where you spoke about the Learning in Afterschool principles. Can you say why you used the LIA principles? A: I used the LIA principles because I felt they captured many of the core elements that a successful afterschool program should have. Actually, those principles should be reflected in classrooms during the regular school day as well. We spend so much time focused on "achievement" and so little time focused on how to motivate students to learn. The principles advocated by Learning in Afterschool strike the right balance and make sense. Dr. Noguera is an urban sociologist whose scholarship and research focuses on the ways in which schools are influenced by social and economic conditions in the urban environment. He is also the Executive Director of the Metropolitan Center for Urban Education and the co-Director of the Institute for the Study of Globalization and Education in Metropolitan Settings (IGEMS). Dr. Noguera was a classroom teacher in public schools in Providence, RI and Oakland, CA. He has held tenured faculty appoints at the Harvard Graduate School of Education (2000-2003), and at the University of California, Berkeley (1990-2000). His work has appeared in multiple major research journals. Welcome to the Learning in Afterschool Blog! Today marks the beginning of the effort to stimulate a deeper conversation among those who support learning in the afterschool hours. We are interested in how practitioners and field leaders are thinking about learning, the kinds of policies that impede or promote learning, and strategies that afterschool programs are using to increase the learning of their participants. We will use this blog space to interview thought leaders in the field of afterschool, alert readers to important developments, and provide commentary and an exchange between readers. We also urge readers to join the Learning in Afterschool Facebook fan page.